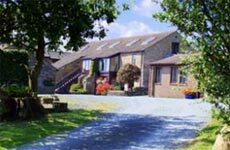 Oysterber Farm Cottages are close to Ingleton and the Yorkshire Three Peaks of Pen-y-Ghent, Ingleborough and Whernside on the edge of the Yorkshire Dales, the cottages are within easy reach of the market towns of Kirkby Lonsdale, Settle, Skipton, the Lake District and the Forest of Bowland. Set in 6 acres of beautiful open countryside, the holiday cottages offer superb panoramic views. groups in the Spring and Autumn. 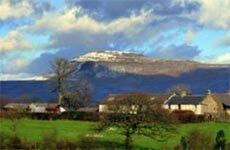 Oysterber Farm Cottages Accommotion offers 4 self catering holiday cottages catering for between 2 and 7 guests; Gragareth Cottage sleeps 2, Salter Fell Cottage sleeps 5, Whernside View sleeps 6 and Ingleborough Cottage sleeps 7. Hire them together for group accommodation for 20 people plus cots for babies. There is ample parking, bbq and picnic areas, Baby sitting services available. Pets allowed by prior arrangement. Within walking distance there are 3 pubs and a general store, and outdoor shops and cafes/pubs are in the close-by village of Ingleton.